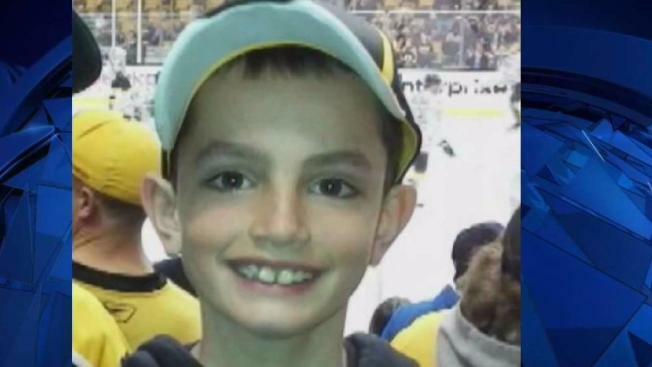 Five years after 8-year-old Martin Richard was killed in the Boston Marathon bombings, his memory lives on. With less than 10 days until the 2018 marathon, Team MR8, the official running team of the Martin Richard Foundation, finished its last training run Saturday. "There's no stopping us, we are doing this," said Christine Goldman, who is in her fourth year with Team MR8 and her 11th Boston Marathon. 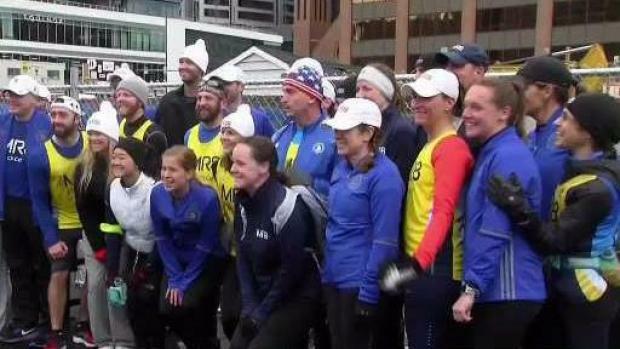 The runners were smiling as they came to the end of their 6-mile run Saturday morning, and they say they are ready to tackle 26.2 miles come Marathon Monday. Team MR8 is the official running team of the Martin Richard Foundation - named in honor of Martin Richard who was killed in the Boston Marathon bombings. "I would love to finish around four hours," Ariana Conigillo said. More than 100 runners will be hitting the course in memory of Martin, and he is the one common thought that will push them to keep one foot in front of the other on April 16. "All my running is for Martin Richard," Goldman said. "He’s on my mind, he's in my heart the entire 26 miles." Saturday's final training run was even more special because it ended with a team tour of Martin's Park. "The Richard family, they're the nicest people alive. I mean it’s an honor to build this. I mean the support from the city right from the mayor on down has been unreal," said James MacKay of MacKay Construction Services, which has been tasked with building the park. "It’s not real until today when we see the park, the people, and meet our teammates that we have been communicating with this whole time," said Conigillo. It's another show of how a boy who was so young taken and taken way too soon has stamped a permanent and important message on the hearts of so many. "One of our favorite hashtags is hashtag All in for Martin," Goldman said. "And that’s what it’s all about is doing the good that he would do if he was physically here." Martin's Park, located near the Boston Children's Museum on the South Boston waterfront, is set to open next year.